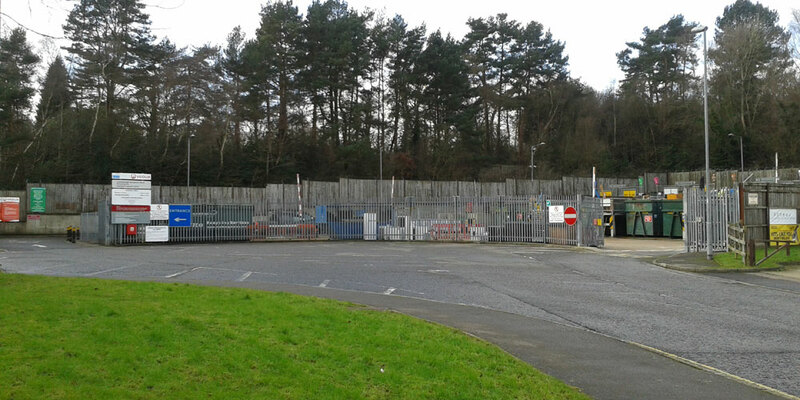 Update: At Wednesday’s meeting the application to extend the opening hours at Crowborough waste site was rejected by Councillors on the planning committee. Councillors expressed their dismay that measures to limit noise had not been proposed at the same time. Plans to extend weekend opening hours at the Crowborough Waste and Recycling Site could be rejected by planners this week. Currently the site on Farningham Road is only open until 1pm on Saturdays and Sundays and is closed on Bank Holidays. As part of a whole raft of changes, including closing the sites at Forest Row and Wadhurst and charging for the disposal of certain types of waste, earlier this year the County Council proposed keeping the facility open all day on Saturday and Sunday and on some Bank Holidays. In order to change the existing operating hours, permission is required to alter existing planning conditions set when the site was constructed in 1999. Veolia operate the site on behalf of the County Council. It is being recommended that councillors on the Council’s planning committee reject the application because of concerns over noise. The report going to Wednesday’s planning committee states that seven local residents have raised objections to the proposal and they have also instructed solicitors to make a representation on their behalf. It is noted by the residents that on Saturday and Sunday mornings when the site is very active, the noise can be invasive, although it is accepted that this will be until 1pm only. It is also noted that the acoustic fencing to the rear of the site offers no barrier to sound and the centre has got busier over the past 10 years causing more frequent container movements and more noise. If the facility is considered to be able to cope with a larger service, it should be partly enclosed to protect neighbours from nuisance. According to the applicant, no complaints have been received regarding noise since 2011. In a public consultation earlier in the year, 86% of people who use the Crowborough site said they found the proposal to keep the Crowborough facility open later at weekends and close it at quieter times during the week acceptable, with just 7% of respondents finding it unacceptable. However only one letter of support was submitted as a result of this planning application. Crowborough Town Council commented that it would like the waste not to be loaded and unloaded on Bank Holidays. For background see the earlier article: Change opening hours at waste site? Click to see the ESCC planning committee agenda and reports.